In my teens, I found cleaning tongue sole fish a challenge. Observing the fishmongers at the Byculla market in Mumbai, peeling off the darker skin on one side and descaling the white side with a knife, I slowly mastered the art of removing the skin on both sides. The fresher the fish, firmer is the skin to the flesh and difficult to separate. When the fish is stale, the skin slides off easily and often seen detached from the flesh, a good sign not to purchase. 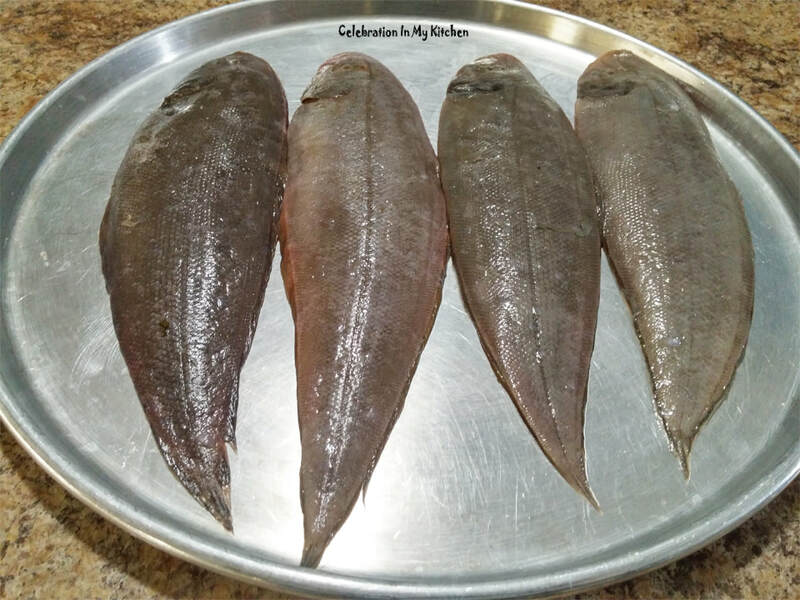 Sole fish is inexpensive and readily available in Mumbai and Goa. After 21 years in Toronto, this is the first time I saw tongue sole at Al Premium store in Scarborough. Fresh but expensive, I could not resist buying and enjoyed it to the fullest. 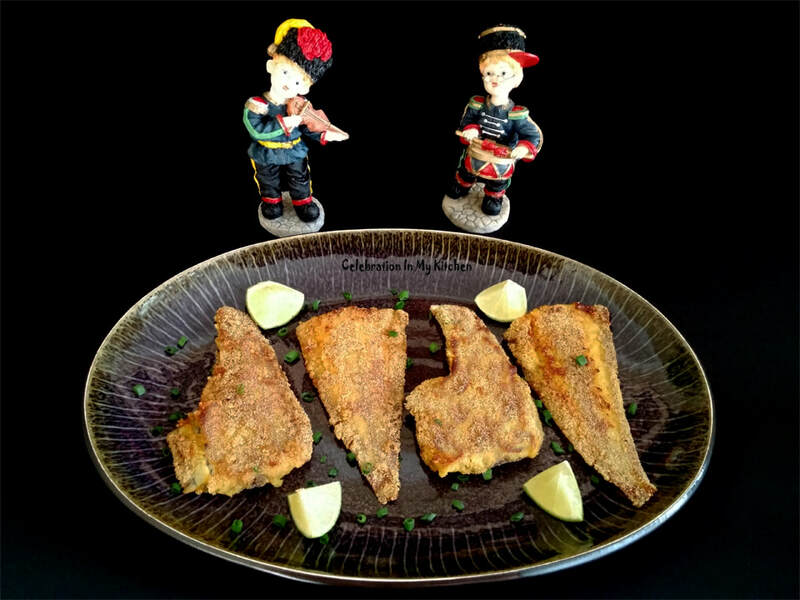 Our Catholic Mangalorean neighbours in Mumbai often pan-fried this fish, which was served as an accompaniment with rice and dal. They would even bring dried salted lep from their native village. Tongue sole soon became a favourite in our home too. Taste amazing in coconut-based curry, ambot tik or coddov. 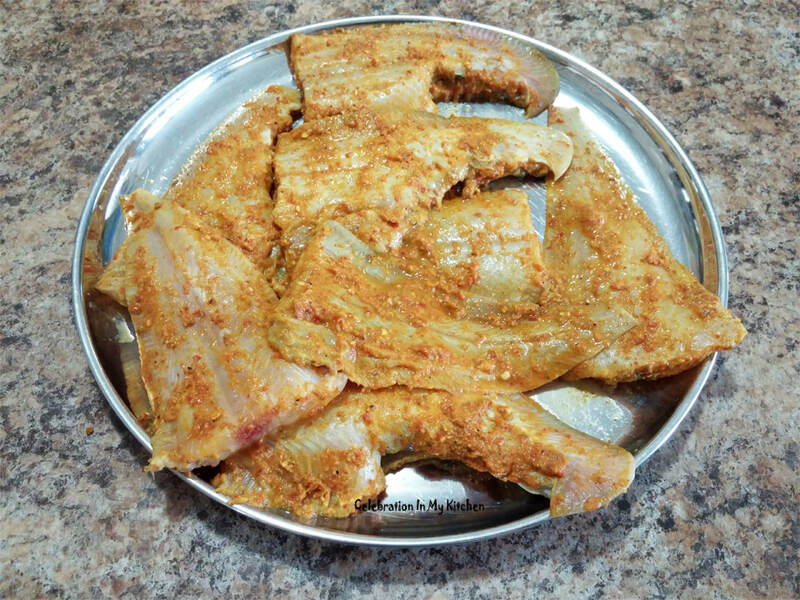 The common and convenient spice paste to marinate the fish before pan-frying is turmeric powder, chilli powder, with a dash of lemon juice or vinegar and salt. In fact, I have seasoned the fish with a different paste, one that is aromatic and packed with flavour. So inviting that when the fish is fried, the fragrance will draw all the family members into the kitchen. 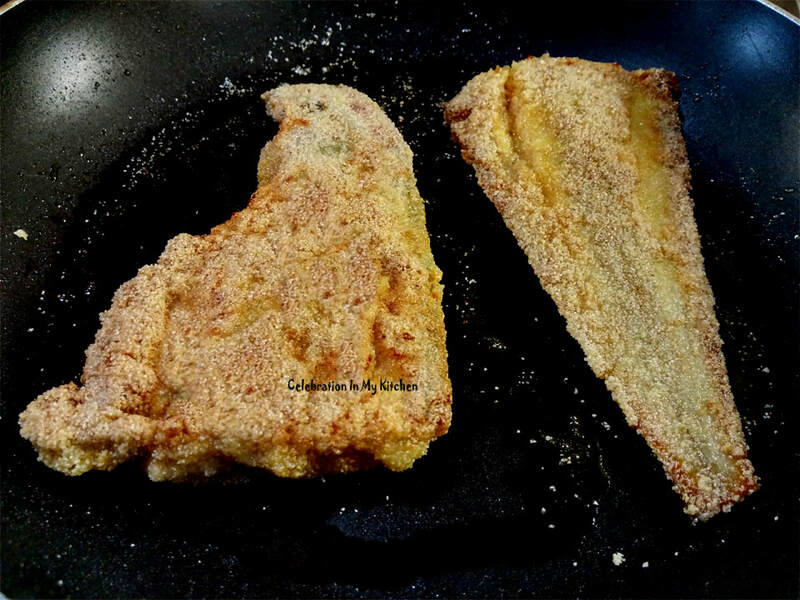 Dredged with semolina and shallow fried until crisp. 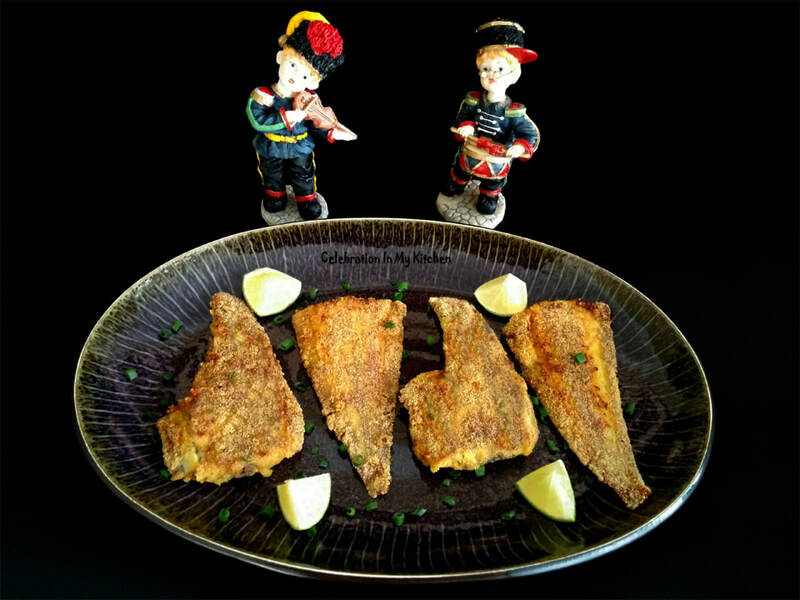 The delicate flavour of the fish enhanced with the spices in combination with the crispy coating is truly delectable. Tongue sole belong to the flat-fish family, shaped like a tongue. They are bottom dwellers, bury themselves in the sand and use their darker side skin to camouflage from predators. The under-belly side is white or light coloured. Its light, delightful flesh loved and enjoyed by all. Peel the skin on both sides, cut the head, tail and fins along the two edges of the body. 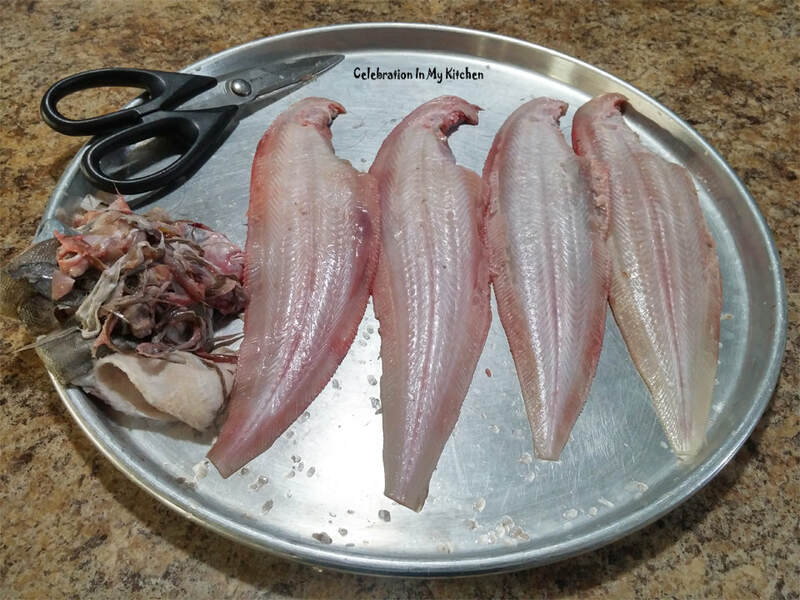 If the fish is large in size, cut into two halves. Wash, season with salt and apply the ground spice paste. Leave to marinate for 30 minutes. Dredge fish pieces in semolina. 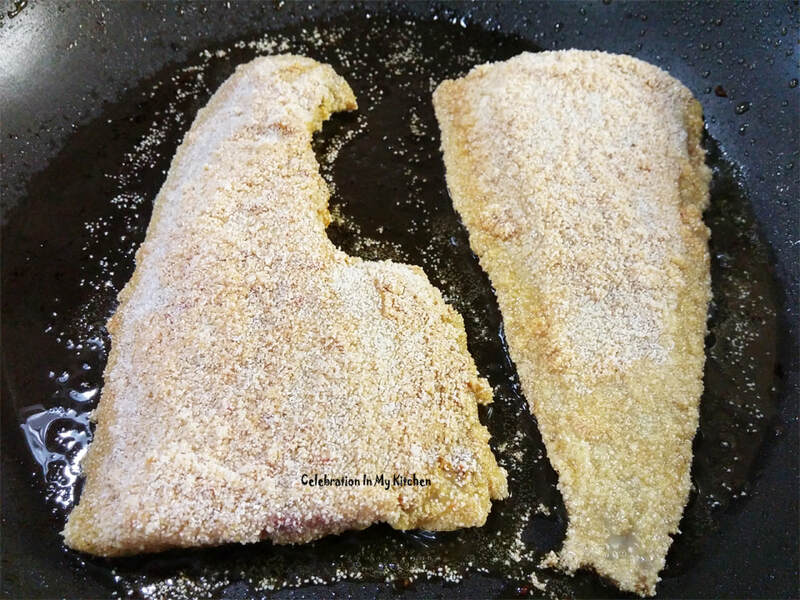 Fry until crisp, fish cooked through and golden brown on both sides. Drain on absorbent paper towels. This spice paste can be used to marinate other seafood. Each fish were 12-inches in length. 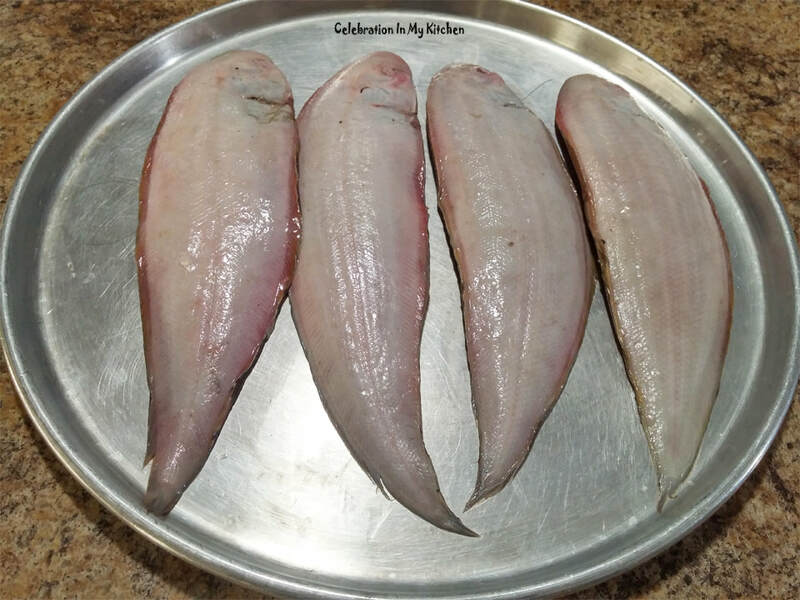 Tongue sole fish (picture below) at Al Premium, 250 Alton Towers Circle, Scarborough, Ontario.